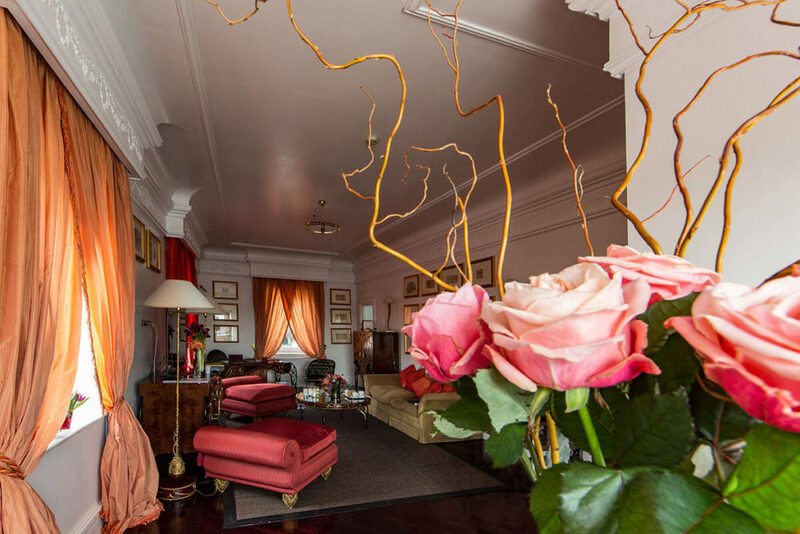 Situated on the 5th floor of the hotel, this charming Suite is composed of a bedroom with a wrought iron canopy bed boasting a lovely background view of the Baroque Church of St. Isidoro. 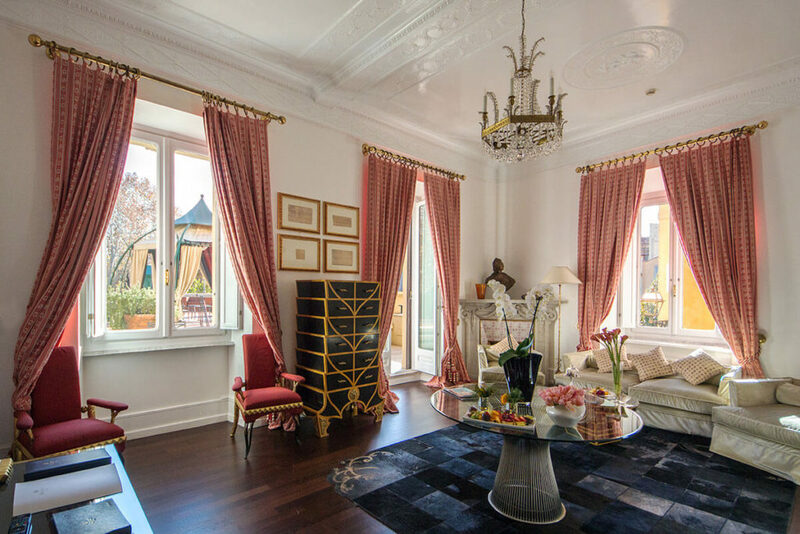 The furniture is inspired by a unique design mixing traditional and contemporary lines, rich in ornaments and refined finishes completed by Wengé wood floor and elegant area rugs. 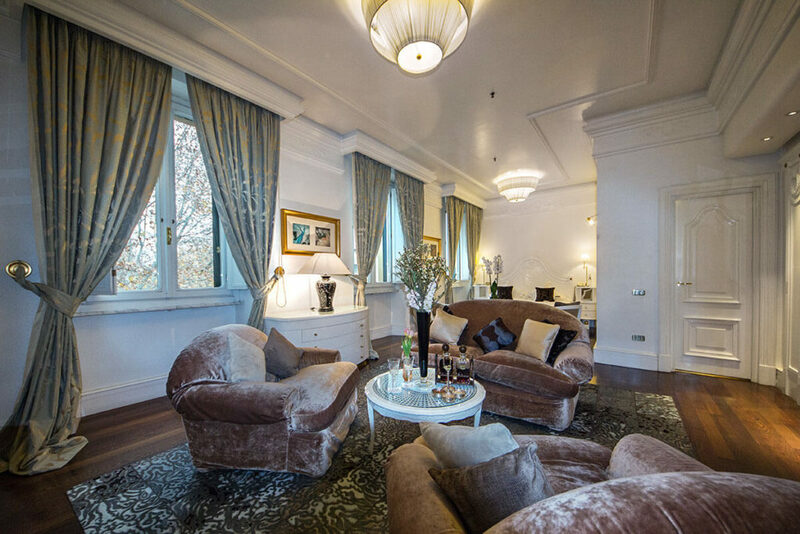 The spacious living room is featuring a terrace with view over Rome rooftops, a dining table and sunbathing loungers. 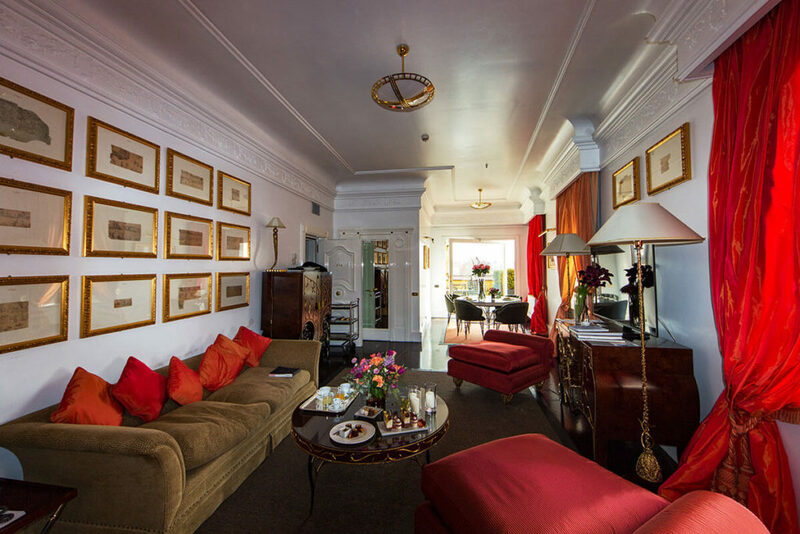 The Suite is equipped with two bathrooms tiled with Calacatta Gold marble. Alternatively, it can be combined with an adjacent room in order to create a two-bedroom suite with one living room, a larger terrace and three bathrooms. 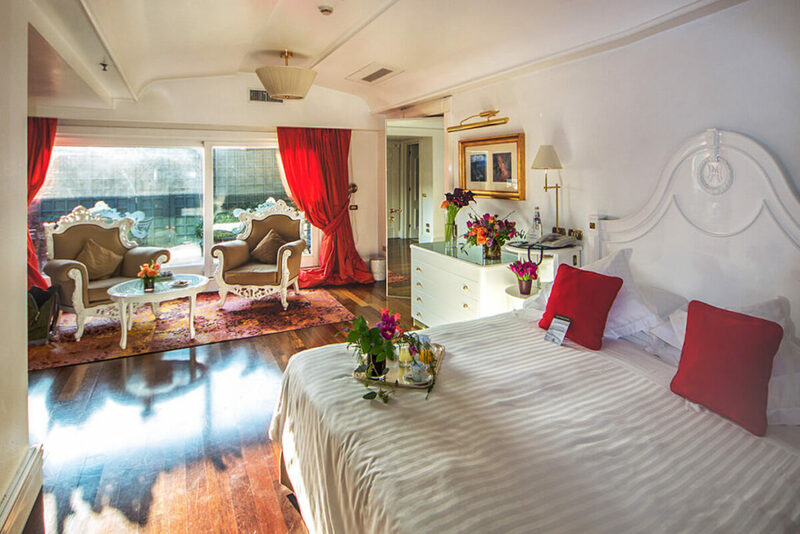 The St. Isidoro Suite can accommodate up to 4 adults with one queen or two twin beds added in the living room. 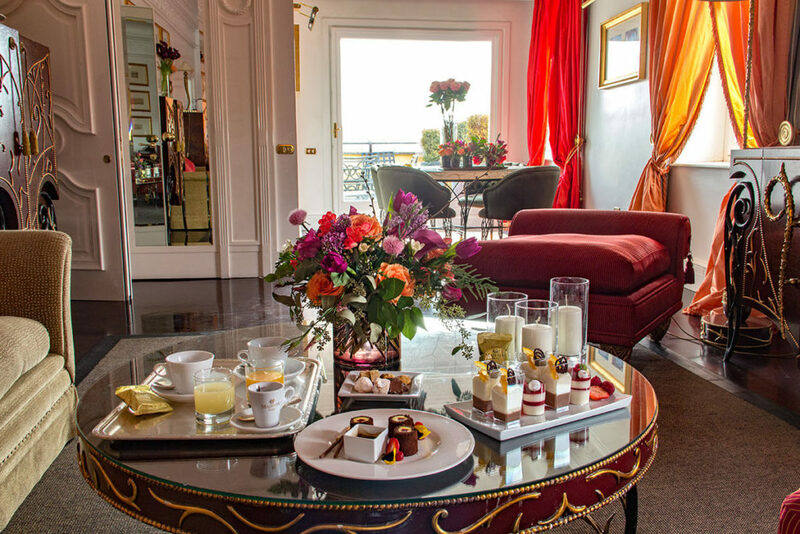 You are in Italy, in Rome, at the Majestic Hotel, on the top floor, in the Sant’Isidoro Suite. What could you ask for more? 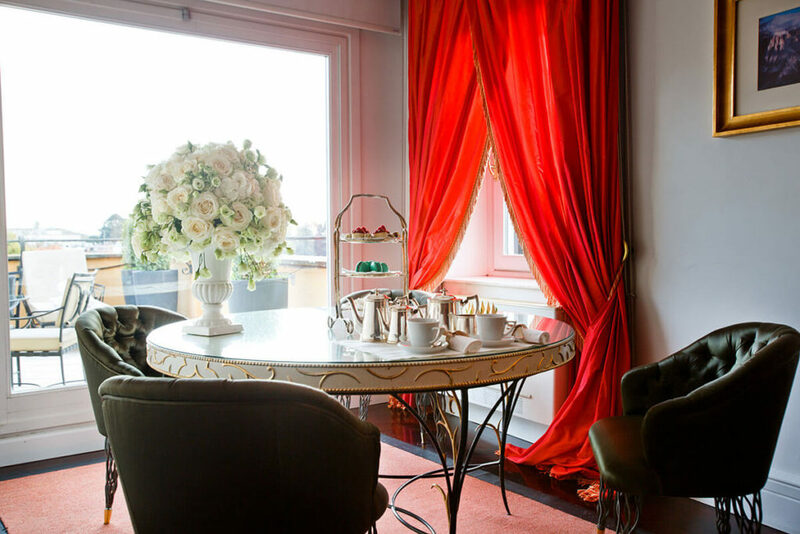 Staying here is like living in a small palace, because this suite offers everything you need for a dream stay. 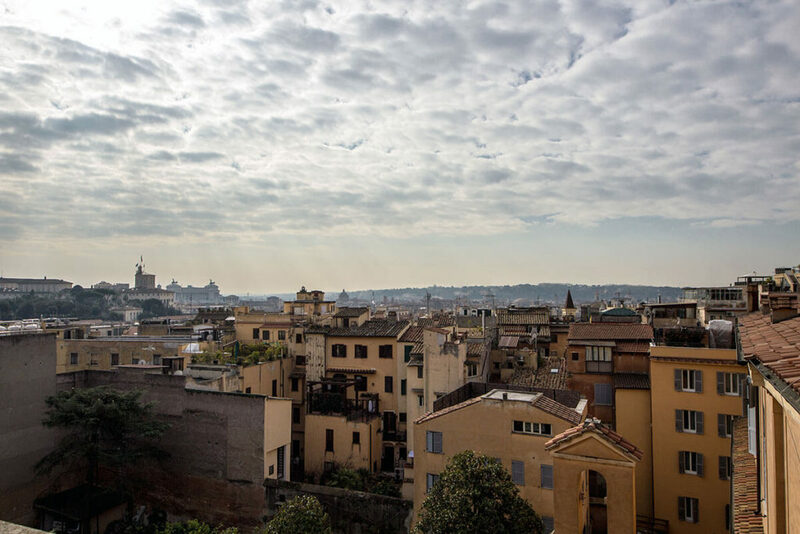 Just look down from the terrace and you will feel masters of the world, with Rome at your feet. 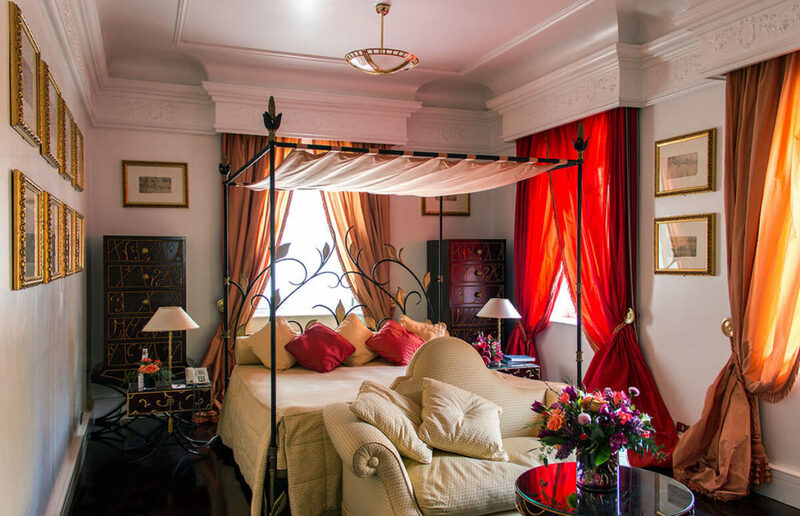 All Junior Suites consist of a bedroom with one king or twin bed featuring top-quality bedding and a spacious bathroom decorated with Calacatta Gold marble.